Sebastian Vettel bids to reignite his F1 world drivers’ title challenge at the 2018 Singapore Grand Prix after Ferrari endured misery at Monza. Vettel – only fourth in the Scuderia’s home race – now trails bitter Mercedes rival Lewis Hamilton by 30 points in the title race with races beginning to run out. But his recent record at the Marina Bay circuit will give renewed hope to the German. Here is a guide to all you need to now about one of F1’s most iconic weekends around the streets of Singapore – including details of how to watch the race on TV and the latest betting odds. 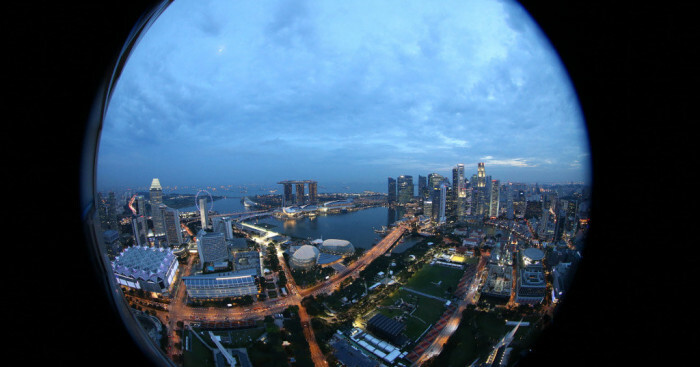 What time does the Singapore Grand Prix start? Where does the Singapore Grand Prix take place? 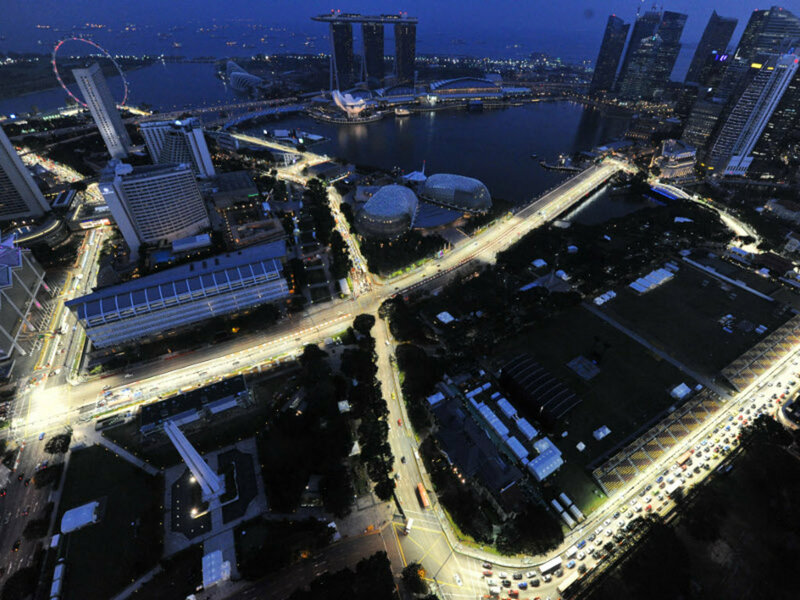 Run over 61 laps of the 5.065km Marina Bay circuit, the Singapore Grand Prix was the first night race in F1’s history and made its debut in 2008. The design includes powerful lighting systems which replicate daylight conditions and the most stringent safety protocols will be applied to ensure driver and spectator safety. In addition, the race is run in an anti-clockwise direction to enhance safety. Changes were made to the track ahead of the 2009 race. Turn One has been modified to the geometry to reduce corner speed so that it provides potential overtaking opportunities in the braking zone at the approach to the corner. Turn 13, the tight left-handed hairpin after the historic Anderson Bridge, was amended to increase cornering speed, providing additional speed on Esplanade Drive and increasing the opportunity for overtaking in the braking zone at Turn 14. With the revision, the cars are now likely to reach speeds of approximately 275km/h along Esplanade Drive. In addition, the geometry of Turn 14 was also modified to improve overtaking opportunities in the braking zone. The changes involved relocating the corner apex to reduce the corner radius and reducing the estimated cornering speed of the cars. The pit exit was also changed. In 2008 it entered the circuit into the braking zone for Turn One, immediately after the pit wall. But following suggestions from the FIA, the pit lane was realigned and lengthened for 2009, exiting on the drivers’ left at Turn Two, away from the racing line and onto a part of the circuit where the cars will all be accelerating. Finally, the runoff distances at Turn 22 were reduced, providing better spectator circulation in the area. Where can I watch the Singapore Grand Prix on TV? Singapore Grand Prix weekend – including the race proper – will be screened live in the UK by pay-TV broadcaster Sky Sports on its dedicated Sky Sports F1 channel. It will also be shown live by free-to-air broadcaster Channel 4. Subscribers to F1’s own app can hear radio commentary on the race proper from the BBC and access live data around each session. PlanetF1 will carry live timing and expert commentary on every session of the race weekend along with all the latest news from the track. What is the weather forecast for the Singapore Grand Prix? Friday September 14: 31C, scattered showers. Saturday September 15: 30C, scattered thunderstorms. Sunday September 16: 29C, scattered thunderstorms. 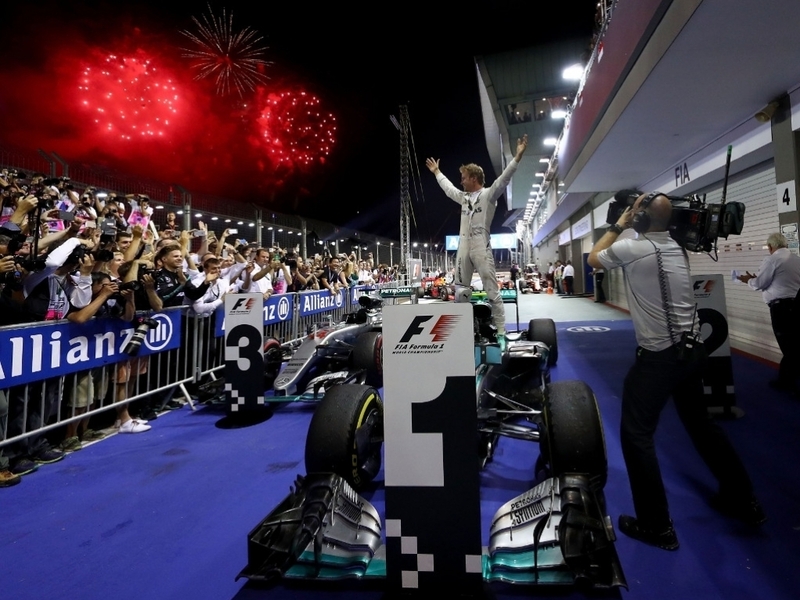 Which drivers have won the Singapore Grand Prix? 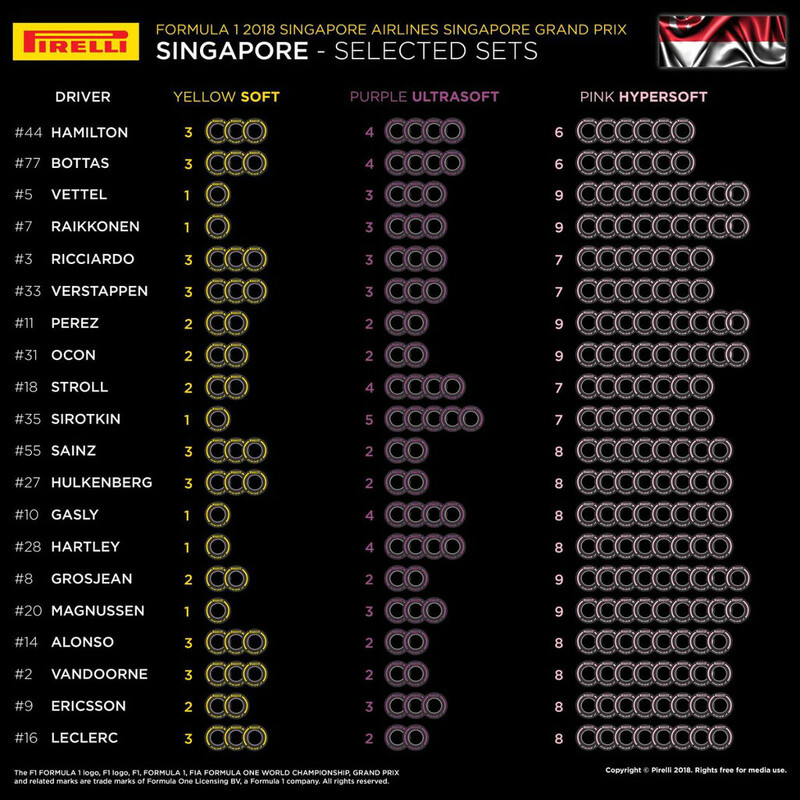 What are the odds for the Singapore Grand Prix? 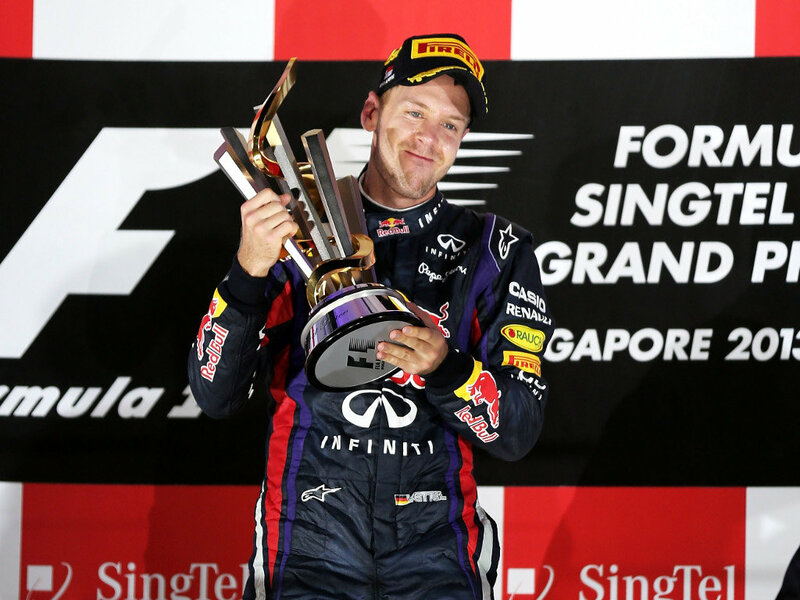 Sebastian Vettel is favourite to win the Singapore Grand Prix according to major British bookmaker Bet365. What are the latest F1 Championship standings? F1 tyre manufacturer Pirelli will bring three compounds to Monza – the yellow soft tyre, the purple ultrasoft tyre and the pink hypsersoft tyre.